Climb the vertical walls again in this version of Minecraft 1.7.2 and 1.7.10. Ropes Plus 1.7.2 and 1.7.10 adds two useful objects based on strings. The first is a new arrow that can shoot with an arc and impact once in place, we will create a rope by which we’ll climb. To retrieve only we break it. The second object is more manual because we throw it by hand. It is an anchor that once stuck in place will allow us to climb the rope and get to where we could not otherwise reach. As the other object, we can retrieve the object by breaking the anchor. 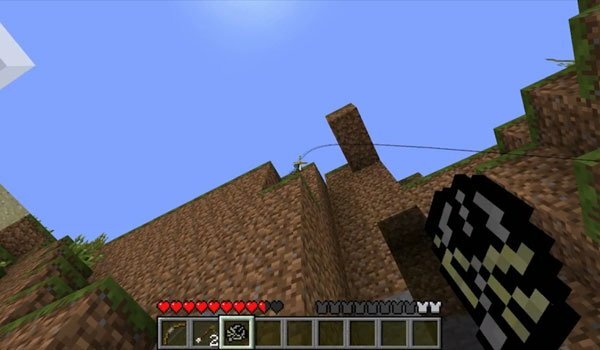 How to install Ropes Plus Mod for Minecraft 1.7.2 and 1.7.10? I use minecraft forge on 1.6.2. I put this mod in the mods folder then I run minecraft but it crashes.